﻿ Best Price on KC Hotel San Jose in San Jose + Reviews! Have a question for KC Hotel San Jose? Well-positioned in Mata Redonda, KC Hotel San Jose is the ideal point of departure for your excursions in San Jose. With its location just 2.3 km from the city center and 7.7 km from the airport, this 3-star hotel attracts numerous travelers each year. With its convenient location, the hotel offers easy access to the city's must-see destinations. 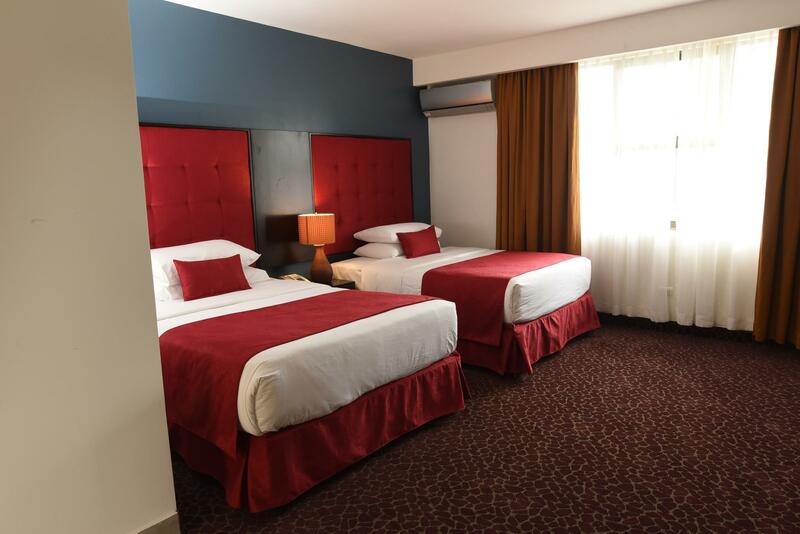 Offering hotel guests superior services and a broad range of amenities, KC Hotel San Jose is committed to ensuring that your stay is as comfortable as possible. 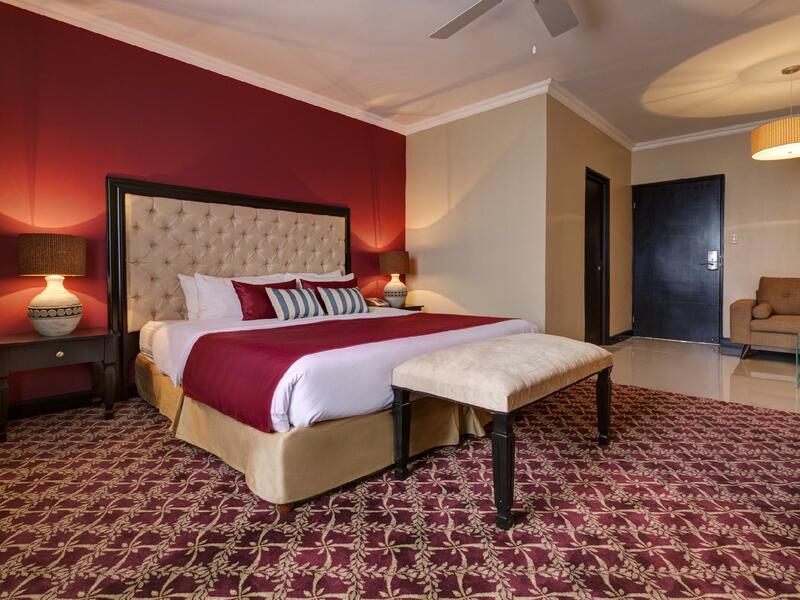 The hotel offers access to a vast array of services, including free Wi-Fi in all rooms, 24-hour security, daily housekeeping, taxi service, 24-hour front desk. 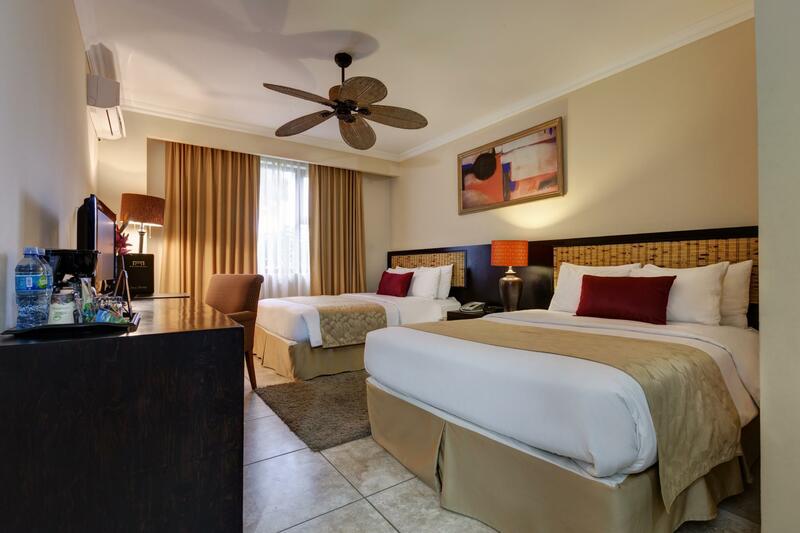 Step into one of 60 inviting rooms and escape the stresses of the day with a wide range of amenities such as television LCD/plasma screen, internet access – wireless, non smoking rooms, air conditioning, wake-up service which can be found in some rooms. 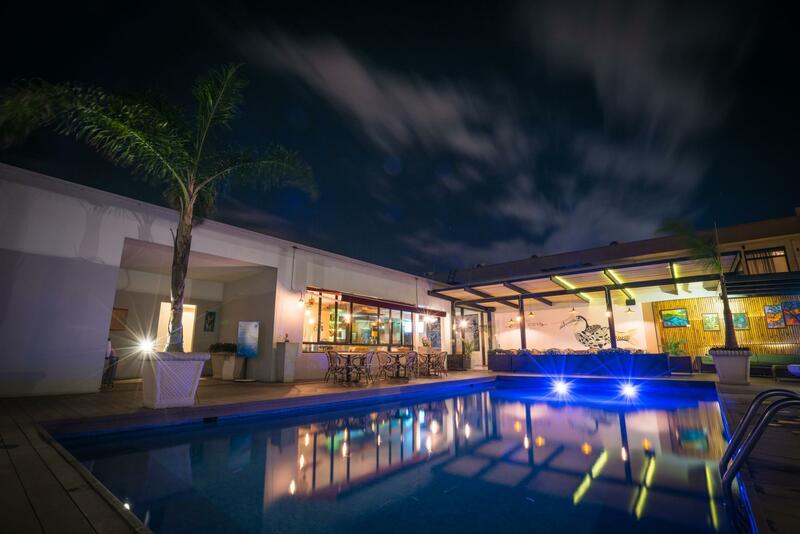 The hotel offers many unique recreational opportunities such as outdoor pool, massage, garden. 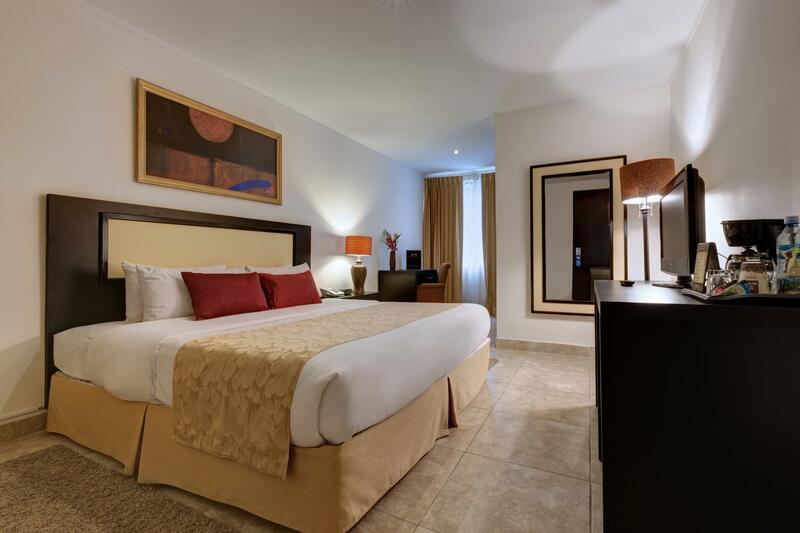 KC Hotel San Jose is your one-stop destination for quality hotel accommodations in San Jose. Some very small issues in room, such as no toilet tissue holder, no clock/alarm, not sufficient power outlets where needed (lamp I thought was not working, was not plugged in while, in it's place, a pay for use coffee maker was and no available outlet to connect PC at desk). There were additional outlets on a wall, which were not usable. While these items could be classed as a nuisance, overall the facility was excellent and I would stay there again. Gardens, interior & exterior, were impressive. We had a great stay. The staff was helpful and efficient. The breakfast is fantastic. Friendly staff. Good internet. Nice stay. Nice smaller local hotel with a friendly and helpful staff. I needed a place close to the dentist and chose this place. It's surrounded with plants and sitting areas inside and outside. The pool is nice. There is a cafe right there to get food and drinks. Good breakfast! There is also a convenient store and subway across the street open late. I recommend staying here for sure! We had to be at the Canadian Consolate first thing in the morning. KC Hotel was in a very convenient location for this purpose. The first room I was in had a poor air conditioning unit and the wing was seemingly an older section of the hotel. The front desk upgraded me to a newly renovated section of the hotel, which very nice. The food was fairly good in the restaurant. All employees in the entire facility were kind and accommodating as well. The neighborhood has quite a few shops and a few restaurants all within walking distance. The restaurant called "Spoon" has delicious food. I would stay at this hotel again. In our trip through Costa Rica, my dad and I repeated the place because we like it lots! the staff, the cleanliness, the facilities, the breakfast (included), the swimming pool area.... I would go again, thank you! everything fine but only don't have fridge in room. Muy bonito todo, el único detalle es q la habitación no estaba lista cuando llegamos, a pesar de que se había solicitado para 1h antes de nuestra llegada. Por lo demás todo de calidad. Falta un poco de trabajo en el baño de las habitaciones de primera planta, están desgastados, manchados y a veces huele mal. El punto positivo está en las camas que son excelentes, la TV y el A/C. El desayuno buffet incluido es bueno. El hotel esta muy bien ubicado cerca de todo en san jose, habitacion amplia y limpia. El hotel es de buena qualidad en general, y de buena ubicacion, pero el desayuno es mas que medrioque, y ultra repetitivo siempre lo mismo y de mala calidad Piscina muy fria nunca usada Despues las habitaciones standar aunque son de un muy buen tamaño, no tienen aire acondicionado, muchisimo calor dormimos muy mal, poca luz un solo ventilador de techo mas ruido typo palomas a la manana typo 5 .